Taiwan was regularly accorded observer status at the annual World Health Assembly (WHA) between 2009 and 2016. The assembly represents the premier international gathering for government officials and health professionals to discuss a wide variety of global-health concerns. 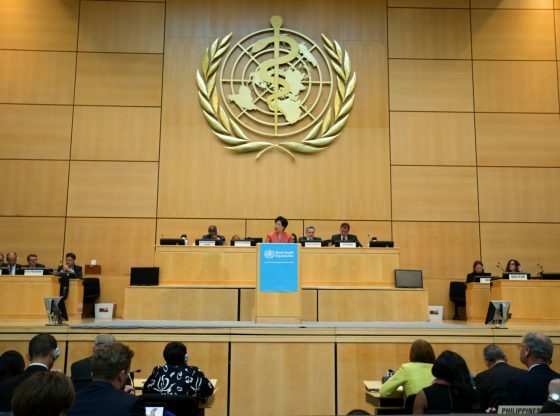 Regrettably, the World Health Organization (WHO) did not invite Taiwan to attend the seventy-first WHA to be held May 21-26 in Geneva. Taiwan has more than 23 million citizens and its representatives deserve a seat at the table—not only to safeguard the health of those citizens, but also to make invaluable contributions on the cutting edge of medical research, and also to because Taiwan is a key contributor during global-health crises. It has been long-standing U.S. policy, in fact, to support Taiwan’s observer status in the annual WHA, both as a matter of fairness and due to genuine regional and global healthcare concerns. For example, when the 2002–2003 Severe Acute Respiratory Syndrome (SARS) pandemic swept across East Asia leaving a death toll of thirty-seven in Taiwan, 299 in Hong Kong and 349 on the Chinese mainland, it caused grave concern that SARS would reach the American homeland. Consequently, in 2004, the U.S. Congress enacted legislation (PL 108-235) requiring the Secretary of State to seek Taiwan’s observer status in the World Health Organization at every annual assembly. Dennis Halpin is a former senior adviser on Asian issues for the United States House Foreign Affairs Committee. This article was first published on The National Interest and has been republished with the permission of the editors. Image credit: CC by U.S. Mission Geneva/Flickr.